If you've been dying to get your hands on a pair of canvas Skytops but missed your chance with the "Heartbreakers," Supra has got you covered with the new "Wino" Skytop. For this release, the always popular Skytop silhouette gets updated with an all-black canvas upper, waxed shoe laces, and a textured outsole. What really sets these off is the sick gum sole. 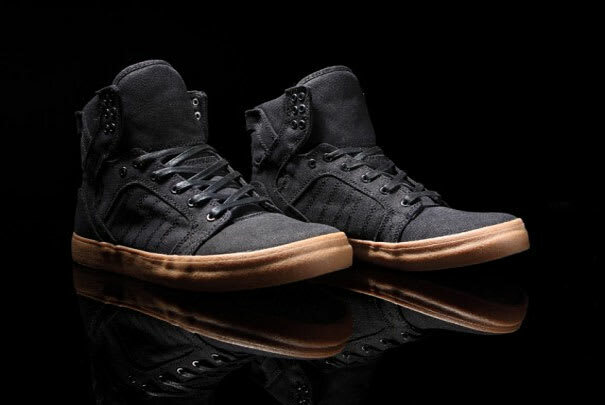 Get them now at your local Supra stockists.